Our international community of Bushwise thinkers are passionate, driven and are always looking for opportunities to connect and grow. Sophie is the director of Bushwise. Sophie has an MSc and spent 7 years setting up and running GVI programs in Africa. She started out working for CCAfrica for a number of years as a field guide on the Makalali game reserve and then moved over to student programs, predator research, program planning, logistics and management with GVI. Sophie ran over 15 research and training programs in Africa (Namibia, Uganda, Kenya and South Africa), including a South African National Parks training and internship program; wildlife and marine programs in Kenya working with the Kenyan Wildlife Service; and predator research programs in South Africa. She brings huge experience in student management, training and logistics to the team. Kim is the sales manager for Bushwise. She has over 12 years experience in the hospitality industry in 4 & 5 star establishments and has worked in most departments, in various parts of South Africa, up to general management. She has most recently been involved in an anti poaching company with the use of K9’s, assisting in behind the scenes management & admin. Kim is passionate about conservation and being able to contribute to the education of future students in this field. Sharin has recently joined Bushwise as the administrative manager. She makes sure that all aspects behind the scene are taken care of. She handles all the administrative tasks such as confirmed bookings, managing the field guide training centre together with the head trainer, menu preparations, booking activities, workshops & courses for the students. 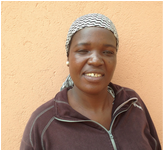 She is also the liaison for the students and assists with staff welfare. Sharin grew up in the bushveld and since she was young had a passion for animals and nature conservation. After matric she completed her secretarial diploma and enjoyed working in big cities and later moved to England for a couple of years. After coming back to South Africa she gave up the corporate world and started as receptionist and reservationist at a small intimate lodge outside Bela Bela in the Limpopo Province. This is where her passion for people and hospitality was cemented. She has worked for an overlanding company and loved the privilege of showing foreign visitors the beauty of Africa. She also worked closely with a leopard rehabilitation project in the Waterberg and from there on moved into management of 5 star lodges in the Little Karoo and Lowveld areas. Rose is involved with both cooking and cleaning. She runs the campus with an iron fist. She is also outgoing & bubbly and fun to be around. Iris is the cook at campus and has been working for Bushwise for a number of years. She is a very vibrant, outgoing person who always has a smile on her face. Trevor is a Trainer at the Mahlahla campus and has been in the lodge and guiding industry for several years. Trevor has held positions which include lodge management, anti-poaching units, leopard research, capture and relocation, wildlife rehabilitation, overland guiding and guiding in Big 5 reserves in various parts of South Africa. Trevor currently holds a FGASA level 2 qualification with full trails guide, advanced rifle handling and level 3 first aid. His passion lies in all aspects of conservation, and focus is placed in nurturing aspirant field guides by empowering them with the necessary skills and knowledge in order to bring out their individual best. Growing up in the Magaliesberg is where Gerhard’s love for the bushveld and his connection with nature began to take root. It was during a field school adventure at a young age that his desire for a career in Nature Conservation was sparked. Unfortunately he was led into a different career path because of the financial pressures of society and the importance of financial independence. After 20 lucrative years in the corporate world he realized that he was really not happy, too stressed with high cholesterol and overweight, so he changed his life and followed his childhood dreams. After completing his safari and trails guide training he spent 6 years working as a freelance trails guide at various 5 star Lodges in the North West Province and the Waterberg. During this time he also joined a volunteering group called ‘Friends of Pilanesberg’. It was then that he became very driven to start training new guides into the field guiding industry. He wanted to motivate guides to be competent, ethical and professional in the field. During the time he became a trainer he furthered his studies to get his to a level 3 FGASA. After 2 years as a trainer, Gerhard joins Bushwise. He will now further his 8 years of experience and believes in a holistic approach as a nature guide trainer which includes having great skills, respect, knowledge and passion. He believe that these traits are the most important aspects to becoming an exceptional and professional guide. Having these traits and being able to share knowledge about the natural world with PEOPLE from all over the world is amazing, by doing this one creates a sense of responsibility in the minds of your guests to become true custodians of the natural environment. 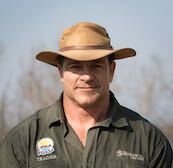 Vaughan has been part of the tourism industry for the last 10 years, guiding and managing camps throughout South Africa, although focusing more on the Greater Kruger National Park. Alongside his career he is also involved in various conservation and research projects specializing in entomology and bio-diversity mapping throughout South Africa. In 2002 he was awarded the Derik Grey Award for his research project focusing on using certain species of butterflies and beetles as biological indicators, and represented South Africa at the SIIRS conferences in Stockholm Sweden. Since then he has made many contributions towards insect research and has a deep passion for entomology. He is also a fanatical “lister”, and an avid bio-diversity explorer, photographing practically every creature found on his many field trips throughout South Africa. Incorporating his knowledge gained through the research projects into his guiding has helped him bridge the gap between conservation and tourism, and allows him a unique platform to share and promote conservation values to his guests and clients. Vaughan has FGASA Level 2, with full trails guiding qualifications. He also has a BSc in Life Sciences (Entomology & Ecology) and is currently working on obtaining his FGASA level 3.